3 Percent is not Enough! Iraqi Assyrians Speak the Language Jesus Spoke – But For How Long? It’s no surprise by now that the Iraqi opposition is divided as it’s preparing for the conference in Brussels later this month. The main point of contention for everyone, especially the Assyrians, has been the allocation of seats in this conference. As of now, Assyrians are allowed a 3 percent representation. Assyrians rightfully demand six more percentage points (see NEWS DIGEST). Even the Iraqi National Congress (INC) and the monarchists are arguing over the same issue these days. As it turns out, the two Kurdish groups – KDP and PUK -- and the Shi'ite Supreme Council for the Islamic Revolution in Iraq (SCIRI) have been monopolizing the seats to ensure a more favorable outcome for the future Kurdish and Shitte Arab regions within their proposed federal Iraq. According to INC, the Shiites have 180 seats and some 25% of the total count is allotted to Barzani and Talabani groups. That leaves 26% for the Sunni Muslims, 6% for Turkomen and at the bottom of the pot – 3% for the only indigenous population of that country, the Assyrians. Last Friday, representatives of all Assyrian political parties attended a meeting in London, one day before meeting with the other Iraqi Opposition groups. With a minimum of 200 seats in Brussels, Assyrians were given 6 seats in Belgium. This week, Kanan Makiya, the author of the now famous book ‘The Republic of Fear’, wrote to the U.S. State Department urging America to intervene in favor of more representation for groups like Assyrians, Communists, and the independents. In his letter he calls the meeting in Brussels “a farce” and asked: "Where are the independents? Where are the democrats? Where are the Assyrians? Where are the rest of the Arabs? Where is Iraq in such a travesty of democracy and fairness?" The Conference in Brussels is scheduled for November 22 to 24. Mr. Ahmad Chalabi of the Iraqi National Congress has requested 360 seats instead of the proposed 200 seats at this conference, increasing the Assyrian Delegation count to a minimum of 11 individuals. The issue, however, is not the number of seats, rather the percentage of the total assembly. In Washington, Assyrians have been actively engaged in a different kind of project – a much less political one indeed. The Future of Iraq Project is an inter-agency program organized by the U.S. State Department to bring Iraqi expatriates into various working groups to address the future of a post-Saddam Iraq. In the U.S., the majority of Iraqis –over 90%- are Assyrians. In the three said working groups of the Future of Iraq Project alone, Assyrians represent over 16% of the total number. As the AINA report clearly indicates: “Assyrians are taking an active role in bringing about peace, prosperity and freedom to a new Iraq.” Why then are they not equally represented in the political future of Iraq? Three Assyrian parties, namely the Patriotic Unity of Bet-Nahrain (Khoyada Atranaya), Bethnahrin Freedom Party (Gabba d'Hirutha d'Bethnahrin - GBH) and the Assyrian National Organization withdrew from the conference in London. As a result, the Assyrian Delegation to Brussels will likely be comprised of the Assyrian Democratic Movement (Zowaa), Sargon Dadesho’s Bet-Nahrain Democratic Party, Assyrian Universal Alliance (Khoyada), and Mr. Shimon Khamo’s Bet-Nahrain Democratic Party. At press time no final list of the attendees has been released to Zinda Magazine. Makiya in his letter urges Iraqi exiles to "pick up your pens and flood the Department of State with your protests loud and clear. Don't be polite. Don't be diplomatic. Be forceful. Circulate your e-mail to every Iraqi and every American journalist and official you can think of. Follow it up with phone calls. Only the (State Department) is capable of giving the green light to such an event." Zinda Magazine agrees with Mr. Makiya. With the help of Father Ken Joseph, an Assyrian missionary priest in Japan, in the past two weeks several calls were made into various American media outlets – including PBS, CNN, ABC, and the Christian Broadcasting Network. The result has been phenomenal. Father Joseph was instrumental in the publication of the ABC article (see this week’s THE LIGHTHOUSE) and the upcoming CNN and CBN reports. Several interviews with the Editor of Zinda Magazine were conducted on the future of the Assyrians in a post-Saddam Iraq also. Let us not stop here! Every new email from a concerned Assyrian will further push the newly elected Congress of the United States and the State Department into greater recognition of the momentous role the Assyrians will be playing in forming a free and democratic Iraq. Zinda Magazine urges its readers to contact the State Department and their local/regional government representative (i.e. Congressional Rep, Senator, Parliamentarian, Councilor) to press for greater recognition of Assyrians in all future meetings and conferences. This letter or email must especially go to the senior State Department official, Undersecretary for Political Affairs, Mr. Marc Grossman. Iraq is at the heart of the Assyrian homeland – Bet-Nahrain – and Assyrians must demand far greater participation in all political, economic, developmental, and reconstructive projects for a new and liberated Iraq. Please send your letter or email today. IRAQI ASSYRIANS SPEAK THE LANGUAGE JESUS SPOKE — BUT FOR HOW LONG? In the high mountains and plains of northern Iraq, a region above which U.S jets enforce the Kurdish "no-fly" zone, an ancient, minority Christian community still speaks the language once spoken by Jesus Christ. Called the Assyrians, they are one of the world's oldest Christian communities, and scholars believe the Aramaic language they speak today is a dialect of the language Jesus of Nazareth and his early disciples spoke. In the Christian villages and hamlets dotting the northern enclave, historic churches and monasteries today conduct their services in classical Aramaic, presenting a picture of a people and their culture untouched by time. Linguists warn that the Aramaic language is in its death throes, battered by centuries of persecution and marginalization by a range of conquerors from Persian armies and the Ottoman Turks to Saddam Hussein's Ba'athist regime. And these days, while the Bush administration makes repeated calls for a "regime change" in Iraq, the talk in Assyrian households across the world is getting increasingly urgent as a community that has preserved its culture through the centuries braces for another milestone in their long, often tormented history. "Our greatest fear if there is a regime change in Iraq is if there will be a substitution of Saddam Hussein's tyranny for a new tyranny," says Ronald Michael, president of the Assyrian American League, an Illinois-based organization representing the Assyrian community in the United States. Human rights groups say the Assyrians — like the Kurds — have suffered under Saddam's systematic attempts to "Arabize" the north, a process that includes driving ethnic minorities from their lands and seizing some of their properties, especially in the strategic, oil-rich northern region bordering the Kurdish enclave. "The Iraqi government has also forced ethnic minorities such as the Assyrians, the Kurds and the Turkomen to sign 'national correction forms' that require them to renounce their ethnic identities and declare themselves to be Arabs," says Hania Mufti of Human Rights Watch. "In a way, it is a form of ethnic cleansing by clearing an area of its ethnic minorities." Unlike the Shiite Muslim majority concentrated in southern Iraq and the empowered Sunni Muslims primarily based around Baghdad, the Kurds, Assyrians and Turkomen comprise Iraq's non-Arab populations — a group whose loyalties have always been a cause for Saddam's concern. Through centuries of conquests as well as forced and voluntary migrations, the Assyrian community has been plagued by the politics of numbers. Assyrians define themselves as a broad category of Christian groups speaking Aramaic — or Syriac, as it is sometimes known — including followers of the Chaldean Catholic Church, the Syrian Orthodox Church and the Church of the East, among others. 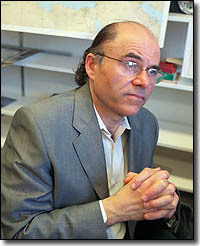 But scholars such as Naby Eden, an Assyrian-American specialist on minorities in the Middle East, say there have been attempts on the part of several Middle Eastern governments to categorize Christian groups by their churches in an attempt to break up an ethnic category along religious lines. Not surprisingly, reliable figures for the number of Assyrians in the world today are hard to come by. In the Middle East, Assyrians are spread across Iraq, Syria, Turkey, and Iran, where rights groups say they live as small, often discriminated-against minorities under governments that are largely unsympathetic to their religious and cultural aspirations. But an estimated 4 million Assyrians live in the United States, Europe and Australia today, in a steadily growing diaspora that dates back to the 1915 massacres of Armenians and Assyrians in the Middle East by the Ottomans. In northern Iraq, where an estimated 1 million Assyrians still live in towns and villages, the situation slowly improved when the northern enclave was established after the 1991 Gulf War, and the Kurds were allowed to build an autonomous region free from Saddam's control. In the current regional Kurdish parliament, there are five seats reserved for the Assyrian community, four of which are occupied by the ADM (Assyrian Democratic Movement). And where Aramaic was once banned by Saddam, today the language is taught in about 35 schools in the northern autonomous zone. But while the bridging of Assyrian and Kurdish interests in northern Iraq has been wobbly at best and troubled at worst, with Washington's renewed calls for political change in Iraq, the country's Christian minority has serious fears for the future. "We are in a critical stage today," says Edward Odisho, a linguist at Northeastern Illinois University in Chicago and an Iraqi Assyrian who fled Saddam's Iraq in 1980. "We have the Arabs on one side and the Kurds on the other. And although we have good relations with our Kurdish brothers in northern Iraq, unfortunately, now the Kurds are behaving in the role of a big brother." Experts fear that in the event of a collapse of Saddam's regime in Baghdad — a common enemy for the Kurds and the Assyrians — historic differences between the two groups could resurface. And one of the greatest causes of concern is the festering issue of land ownership in the oil-rich north. "There are outstanding issues of Assyrian villages and lands, which were vacated under Baghdad's forced repatriations during the 1970s and '80s," says Mufti. "Those issues have not been resolved when the Kurdish authorities took over and they are a bone of contention between the two groups." Experts warn that in the event of a war, control for the northern Iraqi city of Kirkuk — currently under Baghdad's control — is a particularly troubling pressure point, which is being closely watched by neighboring Turkey. Earlier this month, in a run-up to last weekend's Turkish general elections, nationalist Turkish politicians and senior generals threatened to seize Kirkuk and Mosul in the event of war, citing Ottoman-era claims to the two oil-rich northern Iraqi cities. Some Iraqi Assyrians are also concerned that the Kurdish parties might seek an independent state if the United States attacks Iraq. "If the Kurds use the chaos of the war to try to grab land and if they are given a federal state, then we want our own state," says Michael, "because they [the Kurdish parties] have not proven themselves to be democratic." For their part, the leaders of the KDP (Kurdish Democratic Party) and the PUK (Patriotic Union of Kurdistan), the two leading Kurdish parties, have maintained that their aim is not to set up an independent government or entity, but an Iraqi federation made up of an Arab region and a Kurdish region. Some experts concede that Assyrian concerns about the democratic credentials of the KDP and the PUK are not unfounded. Over the past few years, Assyrian groups in northern Iraq have recorded a number of attacks against the community, primarily by militant Kurdish Islamic groups, including the Jund al-Islam (Soldiers of Islam), a group suspected of having ties to Osama bin Laden's al Qaeda network. Although the KDP and the PUK have outlawed the Jund al-Islam following a series of assassinations and armed clashes with the PUK, many Assyrian community leaders say the two Kurdish nationalist parties fail to administer justice in cases of attacks against the Christian population. "The nationalist parties don't want to lose the support of the Kurdish people," says Michael. "If the KDP is in power, we expect justice to be served. But the KDP turns a blind eye to these attacks out of fear of an Islamic backlash." But by far the biggest complaint, according to Mufti, is the Assyrian fear of being "lumped together with the Kurds." Particularly egregious from the Assyrian point of view are recent Kurdish attempts to classify Iraq's Christians as "Kurdish Christians." "They started calling us 'Kurdish Christian,'" says Odisho. "Then we should call them 'Assyrian Muslims.'" For a community that has had a minority status for centuries under different empires and has dispersed across the world, identity is a critical issue — for Assyrians living in and outside the Middle East. With approximately 4 million Assyrians living in the West and speedily assimilating the cultures of their adopted lands, experts say a shared language can play the role of an emotional state, binding members in the absence of a geographic concentration. By all accounts, the continuation of the Aramaic language has been a linguistic feat, significant credit for which goes to the Assyrian exile communities who have refused to lose their mother tongue. "Aramaic has retained its place as a form of cultural identity because of the importance of the language to the people," says Stuart Creason of the University of Chicago. "Within history, there are very few examples of languages that are spoken for this long a period of time, maintained by the community." But Creason warns that the very future of Aramaic is at stake. "I would call Aramaic an endangered language," he says. "It's a language whose future existence is uncertain, and it could die out within a few generations because of the political situation." History has shown that the fate of languages is inextricably linked with the political power of the people who speak it. And Iraqi Assyrians hope their future will ring to the sounds of their ancient language. "With signs of war with Iraq increasing every day, lost amidst the fog of war are a small, once proud and once very influential people. "Almost completely ignored in the current discussions are 1.2 million Assyrian Christians. Scattered throughout Iraq, but with many near the city of Nineveh, currently known as Mosul, these remnants of the great Assyrian Empire are frozen in time. "It is their history that is little known. It was to them that Jonah came to bring the message of repentance and they repented. It was to them that the Apostle Thomas came and their King Abgar repented for his people and Assyria in the first century became the first Christian nation." Those are the words of Ken Joseph, Jr., a Christian missionary in Japan and grandson of Stephen Joseph, an Assyrian Christian who fled a Kurdish massacre in 1919 which destroyed two- thirds of the nation. Stephen came to America, settling in Chicago, and for 50 years to the day he died, awoke at night screaming of terrors he refused to describe to his descendants. Does another massacre lie ahead for today's Assyrians, the second largest group of Christians in the Middle East, second only to Egypt's Christians? That's the fear of an international group of Assyrians meeting in London as you read these words. From America, Europe, Asia, and Iraq, the Assyrians and their descendants are gathering to develop recommendations for the U.S. Department of State which is expected to hold a conference in November on "The Future of Iraq" after Saddam's demise. Within Iraq there are two Christian groups: "The Church of the East," of about 200,000 and a million Chaldean Catholics who recognize the Pope. Approximately 150,000 now live in northern Iraq amidst 4 million Kurds who have fought for independence from Iraq. Hundreds of Kurdish and Assyrian villages were destroyed by the Iraqi military from 1961-1979, forcing surviving Assyrians to flee abroad or to central Iraq. Saddam Hussein used poison gas against northern Iraqi villages in 1988 to douse rebellion. Under the "no-fly zone" protected by British and U.S. air forces, a new era of peace has settled in for a decade. Churches are being rebuilt and Assyrians have built 40 schools for 8,000 children who are being taught in Aramaic, the language Jesus spoke. Such schools and the teaching of any non-Muslim language is strictly forbidden by Hussein. An informal Kurdish Parliament has emerged, with five of its 105 seats assigned to Assyrians. No such political freedom exists in the Iraq controlled by Saddam. Even the economy is thriving in the region. While Muslims are prohibited from paying interest, Christians have borrowed money and built small businesses - grocery stores, restaurants, gas stations. Few realize that Christianity's respect for the individual has been the soil out of which the fruits of democracy and economic growth have emerged. Conversely, as Christians have been persecuted in Iraq, Egypt, Lebanon and Israel and fled to other countries, unemployment has grown, adding to the radicalization of Islam. However, what could happen to the Iraqi Christians if war breaks out? Saddam might exact revenge on the people of northern Iraq with more poison gas attacks. After Saddam, the fate of Christians in the hands of militant Muslim majorities could be horrific. There are three warring Muslim factions in Iraq. Three-quarters of the Arab population are Shi'ah Muslims, but political power is held by minority Sunni Muslims loyal to Saddam, who assassinated Shi'ah leaders and blocked access to many Shi'ah mosques. The Muslim Kurds are implacable foes of both Sunni and Shi'ah. In a post-Saddam Iraq, the one thing 21 million Muslims might agree upon is to snuff out the million Christians in the world's oldest Christian community. "We have four goals," says John Nimrod, Secretary General of the Assyrian Universal Alliance: " having one name, one language, one homeland, one representation." Why aren't America's Catholic bishops and the National Council of Churches issuing any pleas for the safety and future of Assyrian Christians? A basic political rule is only squeaky wheels get oiled. Amid the drumbeats of war and the boisterous opposition, thousands of Iraqi refugees like Talib Aljabiri of Chicago worry that their calls for military intervention have gone unheard. "Unfortunately, we don't have the power so the media will hear us," he said. "We are asking for the help of the United States to help the Iraqi people live in peace." Now many Iraqis are becoming more active in capturing the ears of politicians and the general public who are weighing whether the United States should go to war. This activism has put Iraqis at odds with many fellow Muslims, whom they consider friends and spiritual colleagues. Most national Islamic organizations have been on the front lines of the anti-war movement. But Iraqis continue to make their case. Iraqi House, an Albany Park agency that works with refugees, is seeking funds to present local lectures in schools, churches and bookstores about Iraqi leader Saddam Hussein's brutality. Activists hope to build on the momentum of a recent pro-war rally in Washington that drew busloads of Iraqi immigrants, including a contingent from Chicago. And members of Chicago's Assyrian community, an ethnic minority of Christians in Iraq, made the case for military action at meetings with State Department officials and a fundraiser they held last month for U.S. Rep. Jan Schakowsky (D-Ill.). "The U.S. is a superpower. They have their own agenda and their own vision. In the end, they will do what they want," said Rommel Aliah, a leader with the Assyrian Democratic Movement, in an interview. "But we want to offer our support to the U.S. to use thei r full resources in Iraq." Muslim groups, however, have spoken out against war, accusing the United States of pro-Israel bias and a desire to control oil in the Middle East. They also fear that many Iraqi civilians will perish if the United States attacks. Iraqi activists say Muslims oppose the war because Hussein has provided financial support for the Palestinian cause against the Israeli government. About 95 percent of Iraqis are Muslims, according to U.S. government research. Iraqi refugees, both the majority Shiite and minority Sunni, say they back military action. Refugees say they do not think the opposition to war is rooted in the fact that Hussein is a Sunni Muslim, like most Muslims worldwide. At a Northwest Side mosque that draws hundreds of Iraqi worshipers, some Iraqis said recently that this political division has caused tension among Muslims who normally found common ground in their religion and culture. Abukamal Faraj, a Lebanese immigrant, said he realizes that many Iraqi worshipers cannot stomach his misgivings about going to war against Hussein. "I don't want to see American B-52s dropping bombs on Iraq," he said. "The Arab and Islamic people, we will not accept that. I'm also worried about the [U.S.] motives." But Hamid Muhsin of Iraq said he is fed up with fellow cabdrivers from Palestine or Morocco who display pictures of Hussein and consider him a hero. "We try to explain that Saddam Hussein is a very bad man, but they say he is the best man," said Muhsin, who was shot twice by government police during a failed uprising in 1991. "All other Arabs should just shut up and stay out of this issue." Many of about 3,200 Iraqi refugees who resettled in Illinois since 1991 rose up against Hussein after the Gulf War but then fled for their lives after the revolts failed. The Washington-based Iraq Foundation said Chicago ranks behind only Detroit and Phoenix in the size of its Iraqi population. The census estimates about 9,600 Iraqi -born residents in Illinois, although advocates call that figure low. As the Iraqi community has matured, community agencies such as Iraqi House have formed to offer social services, such as English classes, immigration aid and job training. The center has been a hotbed for activism too. Representatives from the Iraq Foundation were in town Friday to meet with local Iraqi community leaders to discuss future events. Despite the fervor, Rahman Aljebouri, a coordinator with the foundation, said the Iraqis' passionate support of deposing Hussein is tempered by the sad realization that many of their loved ones could be caught in the crossfire. "We have really mixed feelings," Aljebouri said. "We want to get rid of that regime. We want our country back. But we also worry about war because we have families there." Several refugees also said they are trying to keep their hopes in check after they were dashed in 1991. Many Iraqis said the United States, by failing to remove Hussein from power, did not properly finish the Gulf War. Still, almost all of the 30 Iraqis at the mosque said they hope to return to Iraq if Hussein is deposed. "If they finally get rid of Saddam," said Muhsin Hamza of Bensenville, "I would walk all the way to Iraq to celebrate." AS THE THREAT OF WAR GROWS, ARCHAEOLOGISTS MAKE PLEA TO SPARE IRAQ'S TREASURES. The names evoke ancient kingdoms past, the empires of Babylon and Assyria from the times of Nebuchadnezzar and Alexander the Great. Most of the palaces and temples and mosques of those ancient civilisations crumbled many centuries ago. But something between 10,000 and 100,000 archaeological sites hold the enduring remains. They are, of course, in modern-day Iraq. And, as the United States prepares for war, an international band of curators and historians anxious not to repeat the damage inflicted on Iraqi treasures during the Gulf War 11 years ago are appealing to the American government to take the historic sites into account. Specialists concerned about potential threats to the thousands of archaeological ruins and architectural monuments scattered throughout Iraq are supplying maps and other information to the American Defence Department. And the initiative, co-ordinated by Arthur Houghton, a former antiquities curator at the J Paul Getty Museum, aims to highlight the most important with the hope that the military might just be able to give them a miss. "Based on the last Desert Storm, if a battle plan involved an invasion from Kuwait or Saudi Arabia, there would certainly be a likelihood of emplacement or trenching in sites," John Malcolm Russell, an American archaeologist told The Art newspaper. "In southern Iraq, the highest ground is often on top of archaeological sites. If you have bulldozers creating earthworks on these sites, that's going to destroy things." The threat is very real. Many treasures lie close to air bases or oil refineries or laboratories that were targeted in the Gulf War. The Kerbala Shia shrine to Imam al-Hussein, the most renowned of Iraq's sacred Islamic attractions, lies near a chemical weapons plant and missile range that were bombed in 1991. Ur, Iraq's most famous site and perhaps the earliest city in the world, is near a major air base that was also attacked. At Basra al-Qurna, a gnarled old tree, known as Adam's tree, stands on the reputed site of the Garden of Eden. A chemical weapons plant stands nearby. Helen McDonald, of the British School of Archaeology in Iraq, based at Cambridge University, said that last time the Iraqis had tried to move a great deal of their most important objects out into stores in the countryside. They have already begun to do so again. "But some things are immovable - such as huge stones. If a bomb hits a museum or something, that would be it," she said. The consequence is the potential obliteration of generation after generation of history stretching back to 4,000 years before Christ. "The Near East in general, including Iraq, is one of the first areas to be settled by agricultural communities, one of the first areas to have civilisations with cities and writing and complicated structures like temples," Ms McDonald said. "People talk about Egypt but there were lots of similar but different things going on in Mesopotamia. If people go to the British Museum and see the Assyrian reliefs - they come from places in Iraq. And there are still reliefs like that in the National Museum of Antiquities in Baghdad. "The British School of Archaeology in Iraq has written [about this]. They wrote to the Foreign Office during the Gulf War to express concern, not just on the humanitarian grounds but the effects that it would have on the culture." It is not only bombing that is a danger. Charles Tripp, of the School of Oriental and African Studies in London, warned that in the wake of the Gulf War, sanctions had inadvertently caused as much damage to the archaeological sites of Iraq as direct attack. The conditions of poverty had led to much looting of archaeological sites and site museums, which often contained significant finds even after the best items were removed to Baghdad. Numerous finds have turned up on the art market in the West. "There is a lot of temptation in a destitute country to rip something out that has a saleable value in the West," Dr Tripp said. American scholars are pointing to the Hague Convention of 1954, which prohibits the targeting of cultural and religious sites in war, to further their cause with the American government. Washington never ratified the accord but there were efforts during the Gulf War to avoid cultural monuments - although the experts feared that American commanders did not have the archaeological information they needed to know which sites to avoid. Britain signed the convention but did not ratify it so is not legally binding. However, a Foreign Office spokeswoman said it did abide by international statutes, including Article 53 of the 1st Additional Protocol to the Geneva Convention, that prohibited acts of hostility against historic monuments, artworks and places of worship. "Obviously we do our utmost to honour our international obligations," she said. A Ministry of Defence spokesman said it could not discuss the situation in Iraq. The official British line remains that we are not preparing for conflict. But, in general terms, British forces attempt to be sensitive to cultural sites, the spokesman said. "In the targeting process, places of historical, religious or cultural significance are always taken into consideration as is their vicinity to legitimate military targets. The process is kept under constant review." The irony is that it is the British who helped encourage an Iraqi interest in its history and it has been British scholars, such as Max Mallowan, the husband of Agatha Christie, who have helped research many of the sites. Dr Tripp said: "From the time the state was founded by the British in the early 1920s, there was a very determined effort to develop something of an Iraqi identity by impressing upon them the incredible richness of the land they lived in." Saddam Hussein had gone on to use the past glories of the country to help build his nation, encouraging the people of the north to revel in the glories of Ninevah and those of the south to acknowledge the great history of the city of Ur. Dr Tripp added a grim prediction. He said: "Old Mesopotamia was the birth of civilisation. Clearly what might happen there is quite ghastly." DAM ON THE TIGRIS PUTS ASSYRIAN PAST UNDER THREAT. As war looms again over Iraq, the country's archaeologists have appealed for international help to salvage the ruins of the ancient Assyrian empire before a dam to plug the river Tigris swamps them in 2007. "We must scramble to save ancient Assyria before the flood," says Donny George, who heads the research department at Iraq's state board of antiquities and heritage. "Otherwise we will condemn our glorious civilisation to mud." Mr George has sent out his appeals to archaeological departments across Europe, warning that 65 sites, including two royal Assyrian cities, are in danger of being submerged. The Makhoul dam is being built near the confluence of the Lower Zab with the Tigris, 45km downstream from the ancient Assyrian capital of Ashur, which at its acme 3,000 years ago governed an empire stretching from Nubia to Iran. Pleas by Iraqi archaeologists to delay construction have fallen on deaf ears. Officials say the dam, due to span 3,600 metres, is a matter of national security. The dam is expected to create a reservoir of 13m cu metres of water, which the authorities say is vital to minimise dependence on supplies from Turkey, which has dammed the upper reaches of the Tigris. Iraqi archaeologists say the prospect of a US strike on Iraq - together with 12 years of cultural isolation caused by United Nations sanctions - has set back the prospects of saving the site. After months of negotiation they have persuaded Unesco to assess the dam's impact on what it calls a "tentative world heritage site". A three-man Unesco team is due to begin a 10-day mission to the site on November 17. "Iraq is not easy," said a UN official. "The United States is due to resume its Unesco membership next year, which could block rescue efforts." UN sanctions have also caused a sharp reduction in the number of foreign teams digging in Iraq. Since 1990 the British Archaeological Expedition to Iraq, which this year celebrates its 70th anniversary, has cut all official ties with Iraq. Iraqi archaeologists say only a salvage operation comparable to Unesco's operation ahead of the opening of Egypt's Aswan dam in the 1960s can spare the Assyrian remains. The operation to shift the 3,000-year-old Abu Simbel temples cost $40m in the 1960s, a sum Unesco officials say is far beyond its budget today. Even if funds were available, western archaeologists already working in Iraq doubt that they could meet the four-year deadline to excavate what 3,000 years ago was a trading and spiritual centre of the ancient world. The UN is also concerned at the impact of the dam on the local population, many of whom are Assyrian Christians. Christian community leaders in exile have denounced the dam as "a conspiracy against the Assyrian people" and accused the Iraqi authorities of wilful destruction of the Iraqi heritage. They are also bitter that the dam could exacerbate Iraq's displacement of the Assyrians from their traditional homeland. "No one has assessed how many villages and how many people will be displaced by the waters," says the UN official. Iraqi archaeologists say they have received assurances that the dam will not be filled to capacity, sparing the promontory on which the royal palace of Ashur was built. But they fear that the waters could flood the low-lying southern rim of the city, threatening the foundations of its largely unexplored commercial and residential quarters. "The underlying areas will be soaked in water and the entire structure could be lost," says a western archaeologist already in Iraq. The other royal city faced with submersion is the largely unexcavated Kar-Tukulti Ninurta, the empire's capital in the 13th century BC. Engineers expect the dam waters to rise 156 metres above the present level of the river, submerging both the city's ziggurat temple complex and a royal palace decorated with ancient wall paintings. Partial excavations already offer unique insights into the antecedents of Iraqi regimes. Royal inscriptions on stelae record that Assyria's ancient rulers regarded themselves as gods and had a penchant for taking prisoners of war. "I trod on his royal neck with my feet like a footstool," boasts one ruler after capturing a Hittite king and his 28,000 soldiers in an earlier mother of all battles. KAI RYSSDAL, anchor: From Los Angeles, this is MARKETPLACE. I'm Kai Ryssdal. The British news agency Sky News reports today Iraqi President Saddam Hussein is open to Americans participating in United Nations weapons inspections in his country, as long as they respect UN rules and international law. President Bush has said war there may be unavoidable. Borzou Daragahi spent some time recently in northern Iraq, an area where preparations for war are taking a back seat to the region's historic business, business. DARAGAHI: Their commander orders a cabdriver to take us to the city of Arbil. He also orders him not to charge us to too much for the three-hour drive. A guy at a checkpoint tries to shake us down for $20 a person. He backs off when we list the people we know. They include the nephew of the local warlord. In Arbil, I'm shocked by what I see. I don't see refugees fleeing a war. I do see shops filled to the brim with electronics and foodstuffs. I see new construction and late model cars. You can get pretty much anything here. Music stores carry pirated Kurdish, Persian, Turkish and Western CDs and video movies. Titles include "Shanghai Noon," "Spider-Man" and all the James Bond flicks. Each costs around $3. In the Christian neighborhood of Onkowa, liquor stores are well-stocked with Johnnie Walker and Smirnoff Vodka. It seems everything is available and at a reasonable price. DARAGAHI: A Sony digital camera costs around $500, what you might expect to pay at Circuit City or Best Buy. Arbil is an ancient city, dating back to the Assyrian empire. It's been a center of commerce and competition for millennia. And in its bazaars, there are deals to be had. I buy a pair of sunglasses for a buck 50. I buy a new pair of shoes for around six bucks and change, made in Iraq. Yes, they're torture on my feet, but they're actually kind of chic. Northern Iraq feels normal and busy. Still, people confide that they're worried about the possibility of war. Everyone keeps a war suitcase with clothes, blankets and first aid supplies. Everyone keeps extra stocks of water and fuel. They know any war with Saddam could easily spill over here, and in a space of a few hours, they know their homes and businesses could disappear. In northern Iraq, I'm Borzou Daragahi for MARKETPLACE. RYSSDAL: And in Los Angeles, I'm Kai Ryssdal. Thanks for being with us. (ZNDA: Beirut) Patriarchs of the eastern Catholic churches came out last Friday against a war on Iraq, and attacked derogatory remarks against Islam by leaders of the US Christian conservative right. "Nothing justifies a war against Iraq, whatever the pretexts and reasons invoked," said the heads of the Maronite, Melchite, Coptic, Chaldean, Latin, Syriac and Armenian churches after a five-day conclave at Raboueh, near Beirut. "There can be no just war because men have the choice: negotiating and arriving at peaceful solutions or unleashing wholesale destruction," they said in a statement. The patriarchs also condemned the "double standards" surrounding the implementation of United Nations resolution. "Equity requires the countries of the region to be treated according to the same criteria. If we want to finish with weapons of mass destruction, the whole of the countries of the region must be disarmed, including Israel," they said. The statement slammed "remarks by the American Christian extreme right", calling them "dangerous and insulting with regard to Islam, Muslims and the Israeli-Palestinian conflict." In the latest of such comments, television evangelist Jerry Falwell caused a storm on On October 6 by calling Islam's prophet Mahomed a "terrorist", before apologising several days later. The patriarchs called for "constructive dialogue between religions, peoples, western and eastern cultures, Christianity and Islam." They called for an end to violence in the Palestinian territories, which they blamed on the Israeli occupation. Their opposition to a war against Iraq, threatened by the United States to eliminate Baghdad's weapons of mass destruction and topple President Saddam Hussein, reflects the stance of other Christian leaders, notably Catholic. On September 5 Britain's Catholic leader Cardinal Cormac Murphy- O'Connor said a war against Iraq could set the Arab world against the West, and undermine efforts to secure peace between Israel and the Palestinians. The head of Italy's Catholic bishops, Cardinal Camillo Ruini, said on September 16 a war led by the United States against Iraq would have "unacceptable" human consequences and destabilize the Middle East. On September 18 the US Conference of Catholic Bishops expressed strong opposition to unilateral US military action against Iraq in a letter to President George W. Bush. On September 12 the head of the Russian Orthodox Church, Patriarch Alexy II, said he was totally opposed to any attack by the US on Iraq, warning of a "bloodbath" if military action went ahead. The London Times also reported that George Carey, the since retired archbishop of Canterbury and spiritual leader of the world's Anglicans, had raised his concerns about Iraq in a private letter to British Prime Minister Tony Blair. (ZNDA: Rome) A war against Iraq would represent a humanitarian catastrophe that would bring shame on the international community, contends Caritas International. Caritas International, which coordinates the aid institutions of Catholic episcopates worldwide, published a document in which it emphasizes that conflict must be avoided at all costs. After observing the hardships of the Iraqi people during a recent visit, Caritas envoys condemned the military option being considered in the West. "The bombings and invasion would exact a terrible price, much greater than that of the 1991 Gulf War, not only because it would inevitably affect the crowded urban areas, especially Baghdad, but also because the majority of conditions, compared to 12 years ago, are that much weaker," said Julian Filochowski, the head of the delegation. Caritas International's report reveals that between 14 million and 16 million Iraqis, two-thirds of the country's inhabitants, depended totally on the food rations distributed monthly. Moreover, given the economic sanctions, the sanitary, electric and water systems are still inadequate. The document also estimates that if war breaks out, at least 10,000 lives would be lost -- and that figure could rise to 10 times that number. The Iraqis' suffering is enormous, Caritas envoys reported. "These people continue to struggle every day to affirm their own dignity, even under the threat of invasion. The people are afraid. They are conscious that the sword of Damocles of a military attack hangs over their heads," said Jacques Bertrand of Caritas International. Caritas International is planning ways to assist Caritas-Iraq should the bombing begin. Thirteen nutritional centers, which could double as first-aid centers for the wounded, would be established around the country. It has come to our attention that you are in the process of planning for the conference, which we understand is going to be held in Europe in October 2002 or shortly thereafter. In your preparations for this meeting concerning the Assyrians who are also known as Chaldean, Syriac, etc., we ask that you keep in mind our requests so that we can avoid the serious problems that occurred at the opposition meetings in New York in 1999. It is imperative that the Assyrian Delegation be selected by the Assyrians. The Assyrians must also be able to replace as needed any members of the Delegation. The Assyrians must also be included as part of any leadership group that is appointed or elected. All of the political parties, Assyrian, Chaldean, Syriac are being invited this week to participate in the selection or election of a small committee to represent them and be responsible to name a representative(s) to all meetings, conferences, etc., as required on behalf of the Assyrians. This will give all the Assyrians one voice. The Assyrian Delegation must reflect the over two million Assyrian population of Iraq. We are the third largest minority after the Kurds and the second largest religion of Iraq, representing about 9% of the population of Iraq. We must receive the proper percentage of the representation at all the gatherings. There has been no communication or instructions from your planning committee, therefore we have been unable to report to your committee. Please advise us if you have determined the number of Assyrian representatives that will be participating in the conference. We understand that you will need our information by October 6, 2002. We wait your reply. Sen. John J. Nimrod Ret. As you may know, the Iraqi Opposition groups have been meeting since the August 9th meeting with you and representatives of the National Security Council, Department of Defense and the Office of the Vice President. They were tasked with formulating a fair and equitable congregation of opposition groups, parties, movements and personalities reflecting Iraq, its people and its politics. The shocking news we received of late, is that two of these six groups have hijacked this process to their advantage. The Supreme Council for Islamic Revolution in Iran (SCIRI) and the Iraqi National Accord (INA) have been divvying up the seats to reflect not the will and aspiration of the Iraqi people, rather their own ambitions for dominating the political scene in the aftermath of a potential military action in Iraq. These maneuvers by groups of Ex-Baathies (INA) and a group infiltrated and financed by the Iranian intelligence (SCIRI) will take Iraq in the opposite direction sought by the US Administration. 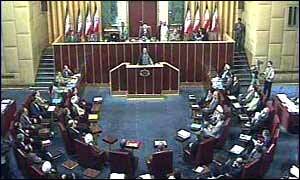 Thus, we urge you to use your diplomatic powers to pressure these two groups to open up the Iraqi Opposition Conference to include organizations and personalities from the full spectrum of Iraqis including: Assyrians; Turkomans; Faili Kurds; Independents; Military Officers; 1991 Uprising Members; Tribal Groups; the Iraqi Communist Party; the Islamic Dawa Party and any other Iraqi Opposition personalities and groups wanting to participate. Your attention to this matter is of utmost importance to Iraqis worldwide. On October 12, 2002 in Moscow in the “Tourist” hotel’s business center a meeting of the Organizing Committee of the World Assyrian Conference took place. The meeting was devoted to the issue of holding the second international scientific and practical conference. 1. In modern scientific literature the history of Ancient Assyria is rich in numerous discrepancies, and mainly, in a great number of insinuations of a subjective character. Some facts, discovered by archeologists during last years, also testify that a modern version of the Bible, which is the most authoritative document for historiography, is a revised edition which contains invented events and facts meeting the interests of certain trends in religion on the whole and in Christology in particular. Eventually, there is no distinct and harmonious system of evaluation of the Assyrian Empire’s progress. The same achievements are represented differently by different historical schools, both with the positive and negative estimation. There are English, French, German, Russian and etc. versions of the history of Ancient Assyria and its contribution to the world civilization. But there is still no version of the Assyrian nation itself, there isn’t its opinion, based on its national consciousness and its concernment in an objective estimation of all the stages of this unique in its essence state, which became a precursor for many states during the following thousand years. 2. The History of the Assyrian nation is practically completely missing. Its fate, achievements, progress for the last two and a half thousand years, is known practically to nobody. The richest heritage of the Assyrian scientists and enlighteners in the East, heroic past of the Assyrian Christian missioners, unique Assyrian literature of an early period of the Middle Ages, heroic efforts aimed at preservation of the nation under the conditions of a bloody late period of the Middle Ages and, finally, new histories of the revival of national priorities in 19-20 centuries – all these facts require a development of a harmonious system of historiography of the Assyrian nation. Integration of all ethno-confessional groups, connecting their national nature with Akkad, Babylon and Assyria to this or that extent, could give a powerful impulse for the rise of their national consciousness, strengthening of their national originality. 3. A not less difficult situation has formed in the Assyrian linguistics. There is no consensus of opinion in literature on the issues of a language study and written language. Disputes between linguists and educational specialists, between people preferring a classical (lishana attica) or a modern (lishana svadaya) as a literary language, cripple the study of the Assyrian language considerably. Churches also don’t have a consensus of opinion. Liturgy in them is conducted in the Aramaic (Syriac) language. Numerous subethnic dialects bring in an additional chaos into the language study. Elaboration of a common tendency in the development of all dialects and in formation of a unified literary language is necessary. In connection with this we apply to all concerned organizations, communities, religions and individuals, dealing with issues of the Assyrian historiography and linguistics with the proposal to take an active part in the work of the forthcoming conference. The payment procedure of registration fees and a hotel, and also a cultural programme will be presented in the second information message of the Organizing Committee which is to be published by the end of the current year. 1. The 2nd World Assyrian Conference will be held from April 25 to April 27, 2003. An additional cultural programme is on April 28, 2003. 2. The deadline for accepting applications for participation in the work of the Conference and abstracts is February 1, 2003. 3. Payment will be organized after publication of the second Information letter, with a reduced charge – before March 1, 2003 and with a full charge – until the beginning of the conference. - The role of the Syriac language in formation of a modern Assyrian. - Ethno-confessional dialects in modern Assyrian language. - The present status of the Assyrian historiography. - Systematization and periodization of the Assyrian nation history. - New concepts in the Assyrian historiography. - The role of Churches in formation of the Assyrian history. We appeal to everyone to notify the Organizing Committee about a wish to take part in the work of the Conference as soon as possible (preferably before January 1, 2003), not waiting for the second information message, and to send your contact information. Post office box 18, Moscow, 127642, Russia. The Organizing Committee appeals to all Assyrian public and profit-making organizations and to individual philanthropists to render sponsorship to Assyrian scholars from the countries of the Middle East (Iraq, Iran, Syria, Lebanon, etc.) and former Republics of the USSR (Armenia, Georgia, Kazakhstan, Ukraine), wishing to participate in the work of the Conference and make a priceless contribution to solution of the national issues. (ZNDA: Tehran) Iran's parliament approved a bill on Sunday that will provide equal compensation in ''blood money'' to non-Muslim crime victims, a move aimed at protecting the rights of religious minorities. ''Blood money'' is the compensation a convicted attacker must pay the victim or the victim's relatives. The average compensation now paid to relatives of a Muslim man killed is $18,750. The payment is about half that if the victim was Christian, Jewish, Zoroastrian or a woman, regardless of her religion. Non-Muslims are considered infidels by many fundamentalists, and Iran's effort to recognize them as equally deserving of compensation was welcomed by minorities. Conservative lawmaker Mohammad Qomi said the 290-seat legislature approved the bill in an open session of the parliament. Approval by the hard-line Guardian Council, which is required of any bill before it becomes law, is expected. The bill has the backing of Iran's supreme leader, Ayatollah Ali Khamenei, who has the final say on all state matters. Iran's only Jewish legislator, Maurice Motamed, welcomed the bill, but said Iran's non-Muslim citizens want equality in other areas, too, including employment in government agencies and the ability to testify in Islamic courts. Minorities are permitted to practice their faith in Iran, and have their own schools, churches, synagogues and temples. While the Islamic leadership bans mixed dancing, religious minorities are permitted to dance together in their clubs and behind closed doors. Youlia Gandja, 88, of Modesto died of natural causes (22 September 1914 -31 October 2002) at Memorial Medical Center in Modesto, California. Mrs. Gandja was a native of Urmia, Iran. She lived in Modesto 23 years. She was a homemaker. She was a member of St. John's Assyrian Presbyterian Church, Turlock. She is survived by her children, Walter Gandja, Edmond Gandja and Sargon Gandja, all of Modesto, and Valentina Harley of London; and six grandchildren and four great-grandchildren. A prayer service was held at 7 p.m. Tuesday at Whitehurst, Norton & Dias Chapel, Turlock. A funeral was conducted at 10 a.m. Wednesday at St. John's Assyrian Presbyterian Church. Burial was held at Turlock Memorial Park. I read Mr. Aprim Shapera’s article in Zinda “A call for a new AUA Secretary General” with great pleasure. The article is very timely and should arouse general interest in the Assyrian world. Assessments, given by Mr. A. Shapera, are very correct and I’d like to support them. First, everybody understands that a change of power is necessary. But taking into consideration Senator John Nimrod’s services, I’d suggest that he should remain in AUA governing body as an Honorary Chairman. I believe that filling this post he could render a new AUA Secretary General heavy assistance. Second, I’d like to support Mr. A. Shapera’s proposal on Dr. Emanuel Kambar’s candidature, as I believe and confide in Mr. Shapera’s political flair, his political experience and his perfect knowledge of the situation with the Assyrians in Iraq and in Diaspora. I’m impressed by the fact that Dr. Kambar “in the United Kingdom in the early 1980’s with the Assyrian Club in London, where with its Chairman Mr. Emanuel Kelaita they successfully cleared the Club from the Iraqi embassy influences and put it on the right nationalistic track”. I think that many people will support Dr. Emanuel Kambar’s candidature for the post of AUA Secretary General and I personally will be very glad about such a choice. I also agree with Mr. Shapera that “human rights or minority protection principles are actually meaningless and nonsensical for a certain state if they are in clash with a people’s national interests”. In conclusion I’d like to throw light upon some arguments which are important, in our opinion, for further development of the Assyrian National Movement. I fully agree with Mr. Shapera that not only tribalism but also regionalism are rather strong in the Assyrian nation today. And one shouldn’t forget that 2/3 of the nation lives outside the land of their ancestors. That’s why all games with Iraqi national movements or with the so called Kurdistan shouldn’t become tactics and all the more a strategy of the Assyrian National Movement. National interests of Diaspora won’t be satisfied by formation of Iraqi Federation or Assyrian autonomy as a part of any other country of the Assyrian origin, Iran, Syria or Turkey. It should be stated directly and openly that the ultimate aim of the Assyrian national Movement is formation of a unified homeland for all the Assyrians dispersed all over the world – formation of Assyria. Only then the Assyrian National Movement will be clear for everybody and it will become a uniting factor. As for Iraq, it is the most important hearth for our Movement. But there are two active organizations – ANC and ADM to work in this hearth . I think that their activity is quite enough for this. And AUA, having main forces of the nation in its ranks, could correctly and fruitfully direct ADM and ANC’s activities in the interests of the whole Assyrian nation and not only for the sake of the Assyrians who would be glad to live in the autonomy of a federative Iraq or separative Kurdistan. [Dr. Osipov will be presenting at the upcoming MESA conference in Washington D.C. See Calendar of Events for more information]. There is no doubt that the probability of finding traitor individuals whom penetrated Assyrian leadership positions or traitors discrediting our rights to have our homeland "Assyria" is high. Some of those individuals are using fake name, and sending articles to Zinda magazine. One of them, stating himself with a prestige titles. For example, on the last Zinda's issue, one person titled himself as "Dr.", with last name "Malik". Having myself been to Arizona more than one time, to my best of my knowledge, I don't know a Christian person with a title "Dr." and last name "Malik" lives in Arizona. It is deeply unfortunate that we Assyrians have in our community a lot of traitors. Those traitors seem to have short term memory of whom they are, the children of Assyria, the indigenous people of the Middle East, and not the Arab or Kurdish whom came and took our land, and have been killing our people since 632 AD. Those traitors have been trying to polish our identity to be Kurdish, to be Arab, to be Muslim, to be any thing but Assyrian. They are trying to disband our Assyrian organizations world wide, as it seems that they been able to join Assyrian organizations and hijack executive positions and causing dysfunction that have been last four decades with severe damage to Assyrian progress, for example, an Assyrian organization in Mississauga, Ontario-Canada. Those people are nothing but sick, working for terrorist Sadam Hussian, and terrorist Kurdish parties. We live in a nation that is called "free country". We are able to be free, to be who we are. However, such thing "free country" is not existed at all in any place in the Middle East, except Israel. Those traitors came from the Middle East for the purpose of deleting our Assyrian culture and deleting our Assyrian unity and deleting Assyrian organizations by means of penetrating, and waging slanders to places they could not penetrate, like the Bet-Nahrain Democratic Party, and His Honorable Dr. Sargon O. Dadesho. Zinda Magazine, with respect to all readers, has become a big pot collecting scumbags or hazardous waste individuals. The traitors want to totally wipe out the excellent Assyrian media as Zinda provides and to the Assyrian leaders credibility, as well as, to Assyrian people in general. Now, those traitors have concentrated their attack on one most important leader in Assyrian world wide, His Honorable Dr. Sargon O. Dadesho, and the Bet-Nahrain Democratic Party. Those traitors claimed that His Honorable Dr. Sargon O. Dadesho bought his degree. How interesting has become their imagination! Why those traitors don't try to go to the same university where His Honorable Dr. Sargon Dadesho studied, and buy their own degree? Do you know what will happen? The whole higher educational institutions will collapse if their allegation was true. It is more interesting that their compulsion and campaign started on this element alone, "compulsive degree syndrome", targeting Assyrians more than targeting directly His Honorable Dr. Sargon O. Dadesho for the past five years. I wonder why the traitors find this issue of "university degree" as the only issue they can talk about, and not including other issues that relate to the rights of Assyrians to have their homeland "Assyria"? His Honorable Dr. Sargon O. Dadesho contributed all the resources over many decades for Assyrians to gain a homeland of "Assyria" in Assyria, the occupied land, currently Iraq. His Honorable's work worried Iraqis and Kurdish so called governments, that they are using Assyrians to hunt and kill Assyrian leaders by any mean. Great Assyrian leaders got killed behind their backs, such as, the late General Agha Putrous, His Holiness Mar Benyamin and many more. Today traitors' obstacle is Dr. Sargon O. Dadesho. They are not worried about the Zowaa movement, because they already penetrated and took control of its leadership, as well as many other so called Assyrian parties. Hundred of thousands, if not millions, of Assyrians world wide follow the footsteps and teaching of His Honorable Dr. Sargon Dadesho. It is God who gifted Assyrians a last chance. To all Assyrians, take this opportunity and use it wisely. God himself has sent us a mighty person, His Honorable Dr. Sargon Dadesho,. Use him to gain "Assyria", use him to get your rights and freedom in your homeland, use him to be your protector, use him to be your front line. Assyrian defenses have not collapsed. His Honorable Dr. Sargon O. Dadesho crumpled recourses of the enemy. Ask yourself a question: “Is your organization penetrated by traitors? What have they done for the right of the Assyrians to have their homeland "Assyria", and at least, what have they done for Assyrian progress in your city?” It is not too late to be born Assyrian again. We have extended the RSVP date for the Narsai's Taste of the Mediterranean Dinner on November 15 at the Ritz-Carlton Hotel in San Francisco to Friday, November 8th. This is a benefit dinner and the money raised will fund the construction of a University Student Dormitory and Cultural Center for the Assyrian students in our Homeland, in the city of Erbil, North Iraq. Over 1000 Assyrian youth in North Iraq have earned their college degrees since the Assyrian Aid Society of America first began funding education projects there just a few years ago. This is a monumental leap forward, and we remain committed to continuing and expanding this work. The University Student Dormitory and Cultural Center in Erbil is an important step toward the next 1000 college degrees, and indeed the future of the next generation of Assyrians. You may also call (510) 527 9997 or fax your request to (510) 527 6633. General Nageb Al Salhi will be the guest speaker at the 26th Anniversary of the Bet-Nahrain Democratic Party's Banquet Dinner on Sunday, November 10. This event will take place at the Assyrian American Association of Chicago. Mr. Shimon Khamo, Secretary General of BND, will join Genral Al Salhi, where he will also submitt a full report on his last visit to London on November 1st. Mr. Khamo met with various Iraqi Opposition leaders and discussed the representation of the Assyrians in the upcoming Iraqi opposition conference. Representatives of the Assyrian Coalition, the Assyrian American National Federation and the Chaldean Federation of America, Assyrian Social clubs, organizations and churches are invited to this historic event. Join us in celebrating their newly released CD! November 16, 2002 8:00 a.m. to 12:00 p.m.
Every Saturday 10:00 a.m. to 12:00 p.m.
Every Wednesday 8:00 p.m. to 10:00 p.m.
We are pleased to inform you that Assyrian Nation web site has created a new section called “Assyrian Nation Forums” which includes all kind of topics and forums to be discussed between all the Assyrians all over the world. We invite you to join our web forums, and discuss any topic, that you think it is important to share it with other Assyrians. You will have to be a member in the forums, so you can post any messages you like, and that’s because the added security for the forums. Please visit http://forums.assyriannation.com and share your ideas and thoughts with the others. Iraq is an important country. It is important historically, because it is the country where the first law, the Hamurabi code, was enacted thousands of years ago. Iraq is where writing was first discovered 5,000 years ago at Uruk, and where the seventh wonder of the world, the Hanging Gardens of Babylon, is situated. It is important culturally because Iraq was the centre of the Islamic empire, and Arab civilisation for hundreds of years. Iraq is where science and culture prospered, where Arabic language has its two distinguished schools, Kufa and Basra, and where one of the oldest universities in the world was built, al-Mustansiriyya University in Baghdad. It is important economically because it has mineral resources such as oil and gas, that are vital to world's prosperity. It is also important religiously, as it has the oldest established church in the world, the Church of the East, founded by St Thomas, one of Christ's 12 disciples. In addition, it has numerous Islamic holy sites such as Karbala, Najaf, Baghdad, and Samara. The holy city of Najaf is the study centre of theology for the world's 150 million Shi'as. This very important country has been hijacked by a gang of terrorists led by Saddam Hussain. The world owes it to Iraq, the birthplace of Abraham, Noah, Hamurabi and many great scientists, poets and philosophers for many of its great inventions and intellectual advances. Is it not right that the international community act to save this country, and its ancient people, from the terrorists? It is time to reclaim Iraq from the terrorists. The Middle Eastern Division of Harvard College Library recently completed a project to produce preservation facsimiles of the title "Luqade min Zahrira d-Bahra," a rare compendium of the important periodical, "Zahrira d-Bahra," covering the years 1849-1890. The original copy was generously donated to the Middle Eastern Division by Dr. Wilhelm Alexander Mirzayoff of Modesto, California, a native of Urmia, Iran. Presentation copies bound in leather were presented to Dr. Mirzayoff and to the Patriarch of the Holy Apostolic Catholic Assyrian Church of the East, Mar Dinkha IV. The libraries of UCLA, Princeton University, Brown University, Columbia University, UC-Berkeley, and Catholic University participated in this project and acquired copies for their libraries. 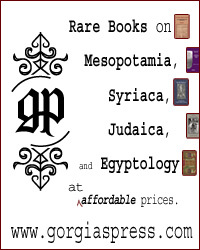 The preservation facsimile was made possible by the David B. Perley Memorial Assyrian Fund and the Mishael S. Naby Memorial Fund in the Harvard College Library. A limited number of copies are available for $100. For more information please contact Michael Hopper at mhopper@fas.harvard.edu.